Part of the reason I started this blog was to better myself, and part of that was getting my life organized. I’m practicing what I preach here, not just finding things on pinterest and making it sound like this is what I do too. I’m really trying to work on myself, and this is the first step. So if you’d indulge me, I’d like to share how I’m organizing my life. 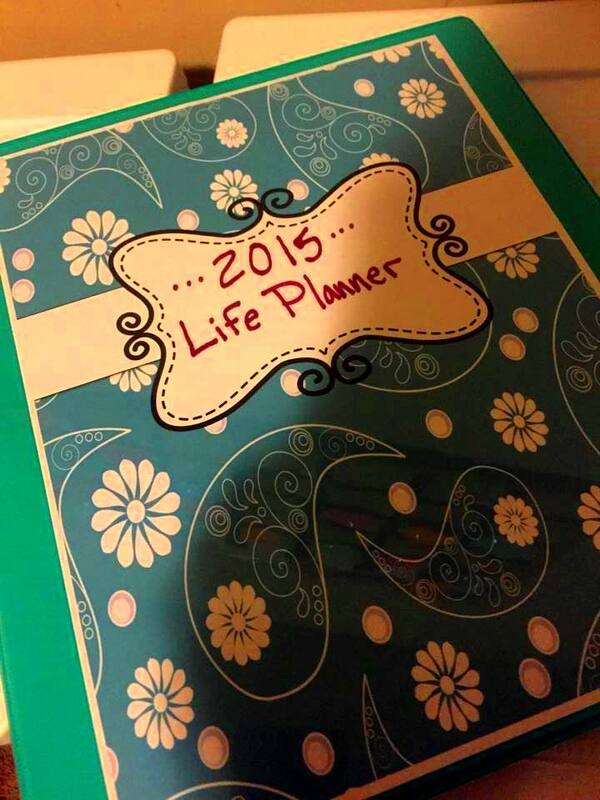 First, I’ll talk about my new life planner! I’m kind of old school and like physical calendars and lists, so having my planner in a 3 ring binder makes more sense for my life, rather than say on google calendars. My life planner! Doesn’t it make you happy! The monthly calendar is super cute (I didn’t get a picture of it but you can find the printable version here at The Uncluttered Lifestyle blog. I used her monthly calendar, but I found a different weekly calendar. I’m trying to go overboard and I wanted the daily lists to have times, not just days. Hers wasn’t quite what I was looking for. But I loved her monthly calendar! I found the weekly calendar here at A Prudent Life. 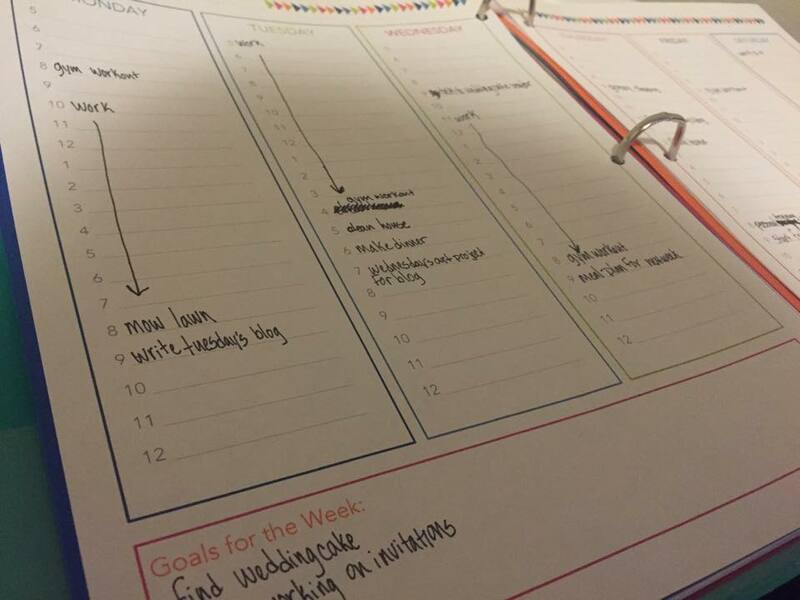 Hers had the times that I was looking for, as well as “weekly goals”, which is really helpful. When I plan out my week, I may not know where all my free time is going to be, but if I find myself with a few free hours, I can look on my goals sheet and try to cross things off the list! It’s been really nice planning my week out in advance, rather than waking up in the morning and trying to remember what I needed to do that day. I still make daily lists that are posted next to my calendar. I get a lot of satisfaction from crossing things off my lists. I wouldn’t take that away from myself! The next part is my blog planner. 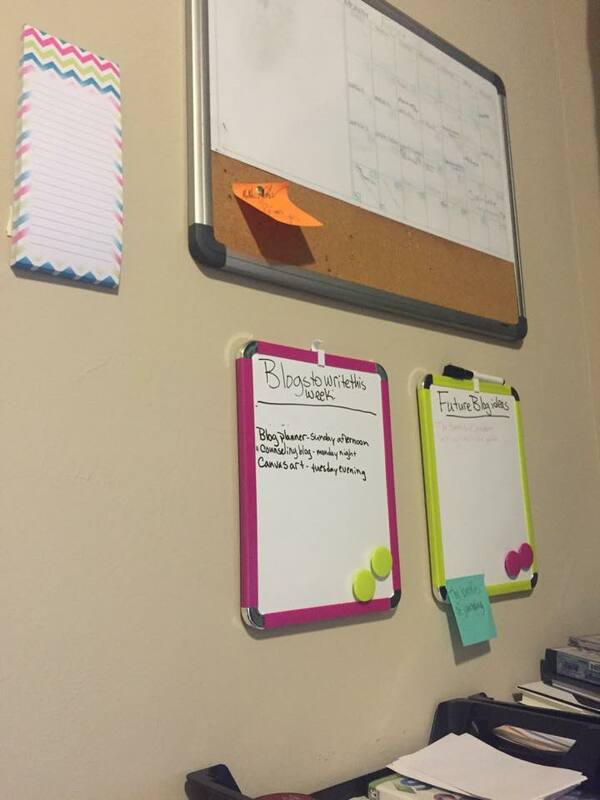 I have an editorial calendar in my office that I’ll talk about in a little bit, but I take the blog topics from that calendar and write them into the planner, fleshing out the ideas, writing notes about it and there is a place there for a “to do” list. 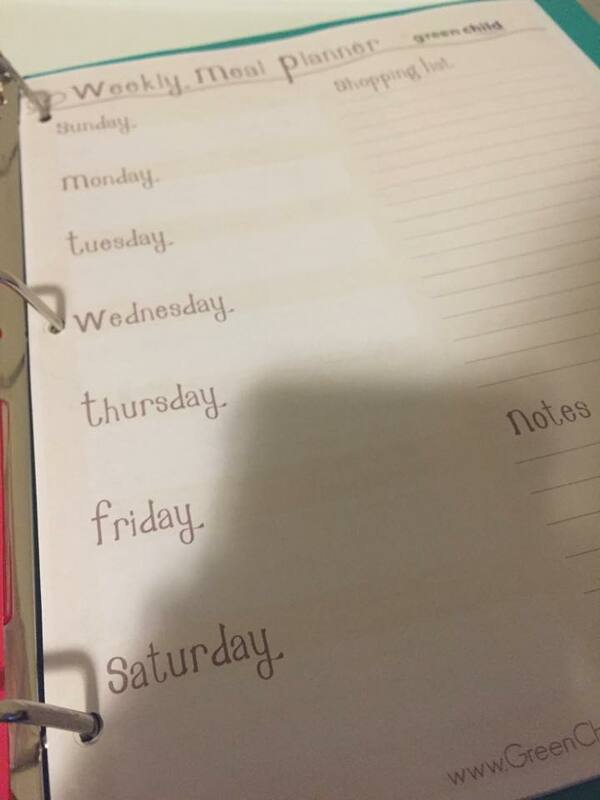 Some blogs I write will need pictures or tutorials so that makes it easier to write things out (and schedule the time to complete it in my weekly planner!) I found the blog planner here a A Virtuous Woman blog. She had a lot of other printables for blogs, mine just isn’t quite big enough to need all of that quite yet. Maybe one day! The next tab is the cleaning schedule. This is something I really needed in my life. With a fiance and three big dogs in my house, along with working a full time job, the housework can really sneak up on you. So having a plan of attack every day is really helpful! 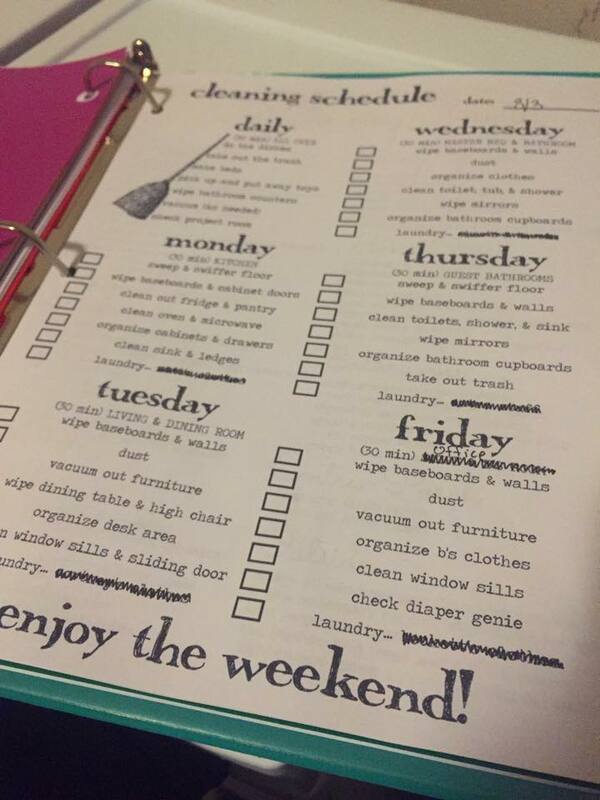 This was the best weekly cleaning schedule I could find. (mainly because vacuuming is an everyday chore on this list. Remember the three dogs…) It’s broken down really easy and it doesn’t take all day to complete these tasks. I can do them either before or after work without tiring myself out. Plus there’s no chores on Saturday and Sunday! The last thing I have under this tab right now is a 30 minutes per week to a cleaner home list. This breaks down forgotten parts of your house and you just clean one a week. Super easy and after 30 minutes, you’re done for the week! It’s things like washing curtains, cleaning light fixtures and doors, organizing the laundry room cabinet. The next tab I have is my Meal planning. I got both of my printables from the same site Green Child Magazine. The printables are super cute and very simple to use. I have a meal plan for the week that has a shopping list on the same page, and then there is a “pantry staples list” which has things that you should have at all times, for those nights when we need a quick, healthy meal. I haven’t filled out the meal planner for this week yet, but you get the idea! Then I have my Origami Owl tab. This part holds my order tracker, leads generator list for new designers or hostesses. It’s pretty straight forward, I just like to have everything in one place. The last part is my fitness journal. I’m still looking for things to add to this. Right now I just have a workout log to record my workouts and weekly progress. I use MyFitnessPal on my phone to track my meals and calories simply because it’s easy, but I don’t like the way it records workouts, so this is another option. That’s pretty much my planner! Now, quickly let me show you what I’ve done to organize my office. This is pretty much just pertaining to my blog. Again, I like physical calendars, especially if they involve post-it notes, so this was more efficient for me than an electronic version. This is my editorial calendar for the month of August. Each day has a post it note on it with the blog topic. This makes it easy to see what’s coming up and breaks down the daily categories. From this I take the topics and fill out the blog planner in my book with more detail. I love this calendar! 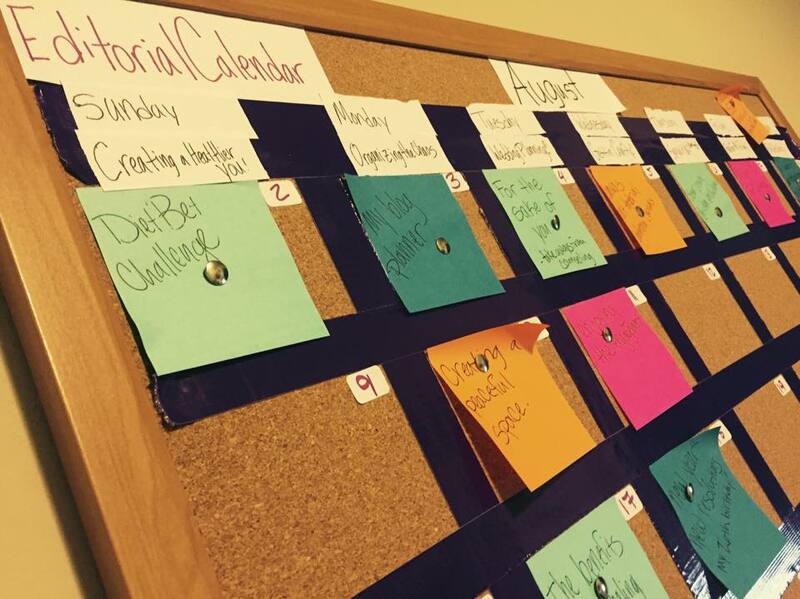 It’s just a cork board with duct tape to make a calendar. Lastly, my office wall, which has my to-do list for blogs to write (in plain sight, versus the planner which is more detailed, I just have to look for it). I also have a board that has future blog ideas that may not fit in this month, but I can look at it when I’m trying to figure out September. That’s all I’ve got for today! Sorry if it was rambling, but it was a lot to cover. Thanks for sticking with me! 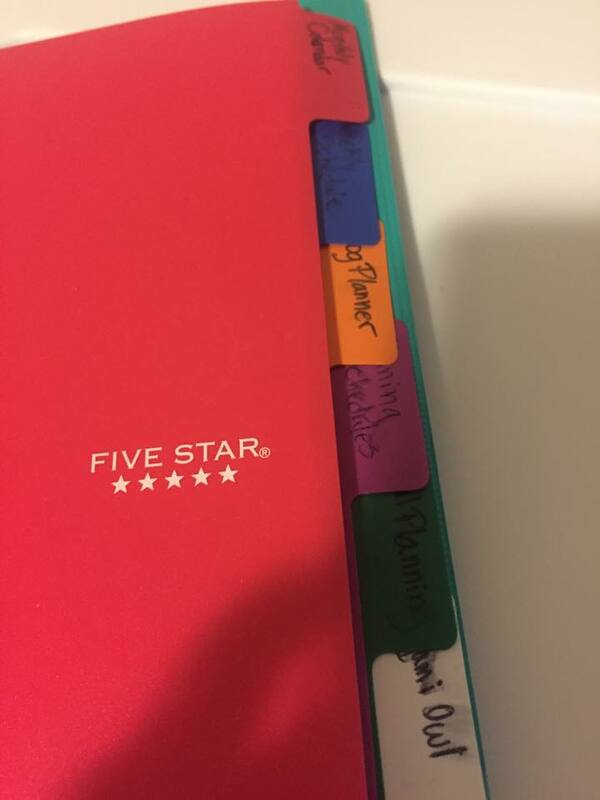 For those of you that are super organized, what do you do to keep your days under control? If you’re not organized but want to be, what areas of your life are you wanting to gain some structure? Next Origami Owl: The Fall Launch!